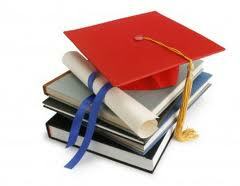 Education in Jammu And Kashmir, Jammu And Kashmir Higher Secondary Education, Jammu And Kashmir Education. Jammu and Kashmir is the most sensitive destination of our nation. The place being quite near to Pakistan border, our neighbouring country have claim on it. But Indian government along with Jawans have fought different battles free the state from Pakistan. Thus there remains a tensed condition always in this particular state. Yet the education system of the particular state is never suffered. Today education in Jammu and Kashmir is provided with a proper implication so that there can be some improvement. The political turmoil in the particular region as well as the operation of militants has posed a great threat to the education system of Jammu and Kashmir. The government of Jammu Kashmir has promised to do anything with regards to the upliftment of students. There will be no influence of political pressure in Jammu and Kashmir. Education in Jammu and Kashmir will never remain bogged off. Rather, there will be a pressure from political front to provide a good education to the students residing in Jammu and Kashmir. Like other states as well as Union territories the education of Kashmir is also been provided with a proper category. The students in the lower classes from nursery to class 5 will be treated under primary section. There after there will be a middle level of education till the students achieves the certificate of matriculation. Today education in Jammu and Kashmir has become really advanced as people are coming forward to provide primary education to their children. They have also realised that primary education is the base for secondary and higher education. A student with a good base can only get excellent career in future. Kashmir is the place for various types of controversies but today, people are not at all worried about the terrorism. They only wish to provide proper education to their children so that their children have a great career forward. Ample field of work will be provided to them if they have a sound educational structure.